Vying for a job that many others are hoping to get is always daunting. But it’s worth remembering that thousands have stood in your shoes before, and succeeded, whether or not on the first try. Still, there are a few key things to keep in mind when preparing yourself for your first interview to get a cruise ship chef job. As part of the wider hospitality industry, appearance makes a strong impression. Dress formally and decently. You needn’t look at branded clothes or fancy accessories. Clean, well-ironed skirts, shirts, trousers and dresses work well. Shine your shoes and wear clean socks. While a suit and a tie could leave a better impression. For those choosing to wear dresses or skirts, it’s best to play safe with regard to decency – hemlines should not be high, necklines not deep, and midriffs covered unless you are wearing a sari. This is an uncomfortable issue that many experience. Sweat and, thereby, body odour are amplified when one is nervous or anxious. This is worsened in tropical conditions where humidity is high. Most interviews will be conducted in an air-conditioned room but nervousness does not play fair. Try to stay calm by revising your answers to common questions, listening to music, meditating silently or engaging in other activities that relax you, so you avoid sweating. Choose clothes made of fabrics that breathe easily, such as linen, cotton and hemp. Take a shower before heading out for the interview, brush your teeth and wear deodorant or perfume. This is extremely important as it shows your work ethic. Be at least 10 minutes earlier than your allotted reporting time. If you leave home early, it will ensure you do not have to rush and in the bargain, get hot and sweaty. 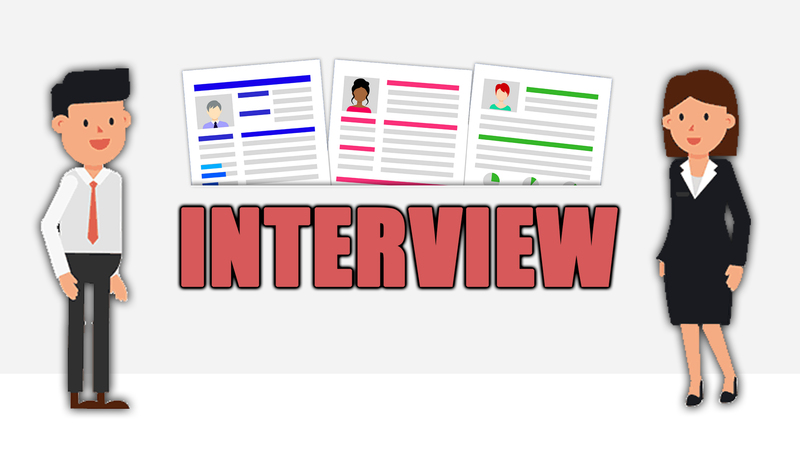 It will help to confirm the exact location of the interview so you do not get lost. Request landmarks and specific directions beforehand, if necessary. Know a little about the company you are applying to. Websites can provide information about their area of operation and cruise ships, crew programmes that you might be interested in, perhaps even a particular cause that they support. Understand the responsibilities of the role you are applying for and note down questions you may want to ask. If you know someone who works for the same company, speak to them about work conditions, opportunities for skill development and other details. It helps to have answers to questions many interviewers like to ask. They may ask you questions related to your knowledge and skills, such as the recipe to a particular dish, cooking temperatures and cleanliness routines. Interviewers may also want to know what your long-term plans are at work, about your strengths and weaknesses, and why you think they should hire you. Other easy questions such as your favourite dishes to prepare or a cuisine you are proficient in, about your educational qualifications or the reason why you wanted to work as a chef. For these, focus on the job you are applying for and ensure your answers show how you meet their criteria. Always answer honestly and try not to ramble on. This entry was posted in Chef Jobs, Cruise Placement, Cruise Ship Jobs, Hot Jobs and tagged Campus Interviews, Cruise Ship Chef, Cruise Ship Chef Interview, interview on July 25, 2018 by admin.